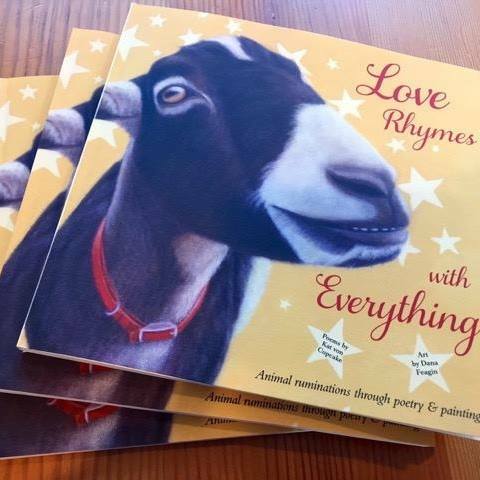 Love Rhymes with Everything: animal ruminations through poetry and paintings is a full color book featuring over 60 of my paintings with poetry written for each painting by Kat von Cupcake. All proceeds benefit animal charities. Read more about my book & see the reviews here. Below is a link to my online store. Click on any image to enter the shop and see more items.